Our heroes have always been Cowboys. Come on out to the ranch! Meet our own cowboy and cowgirls, right here at Buckin’ Ohio. A special feature for the day will showcase some of our cowboys on ranch horses moving cows and calves in our arena. Celebrate our American Heritage with a day of Cowboy culture, food and live Western music. 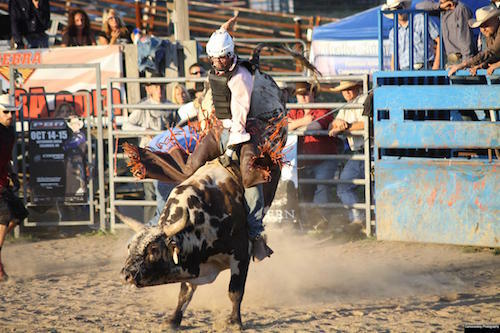 Join us at Buckin’ Ohio’s pro bull riding, barrel racing and mutton bustin’ as we keep the spirit of the West alive. Gates open at 4:00. Pro bull riding at 7:00 pm. VIP Reserved Arena-side Table and Chair Seating. Two ticket minimum. Order on-line, presale ONLY. Not available at the gate or the day of the show.